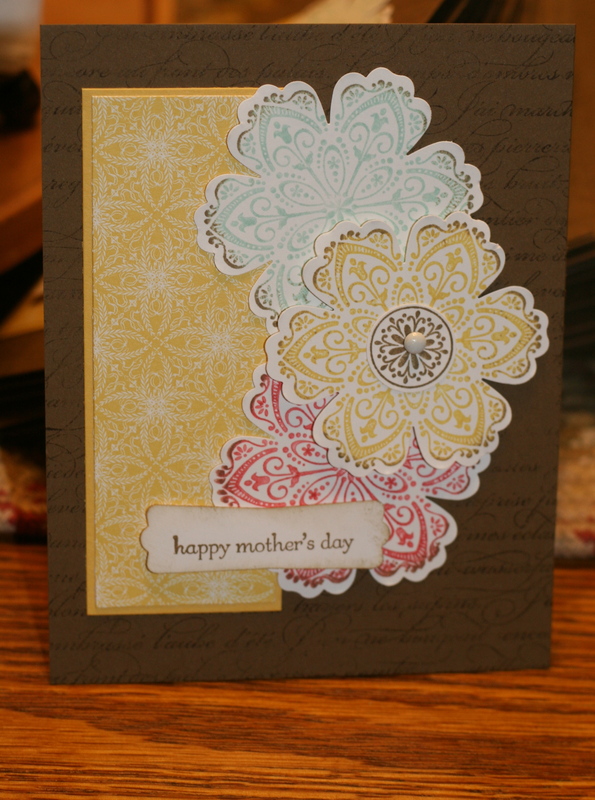 The swap I decided on used the Mixed Bunch stamp set from the Occasions Mini Catalog. I LOVE it when Stampin’ Up! releases a stamp set and a coordinating punch! It makes my life so much easier. I know I would have never chosen to hand cut all of these pretty flowers on my own. 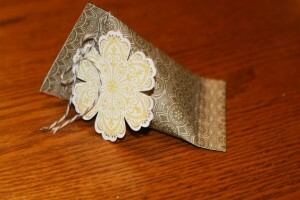 You might notice the edges of the flowers are in inked Soft Suede. I achieved that look by doing the “rock and roll” technique on each flower. All you have to do is stamp your flower in a lighter shade (in this case I used Pool Party, Daffodil Delight, and Poppy Parade) and then roll the edges of the stamp in a darker color. It creates this beautiful two toned effect on each of the flowers! I just love it. The paper on this card is the Attic Boutique Designer Series Paper, also from the Occasions Mini. While I was working on my cards I whipped up a few of these cute little sour cream containers, filled with chocolate of course, for my downline gals! 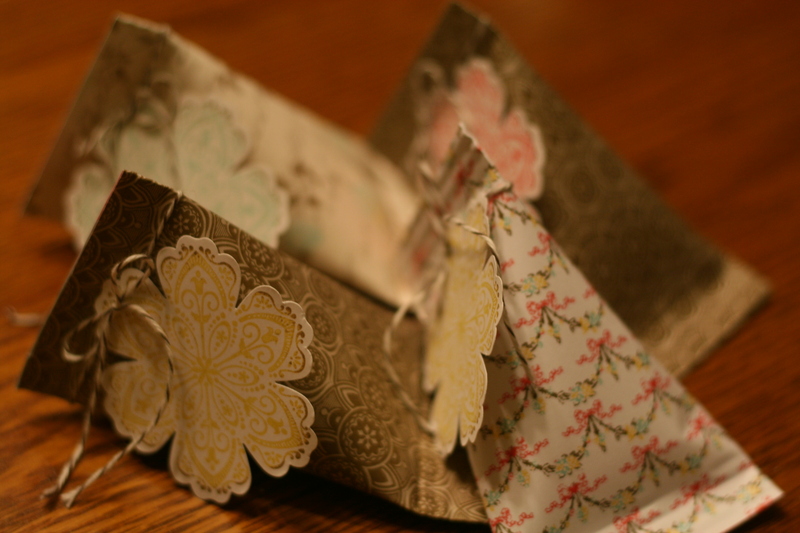 Very easy to make with a piece of card stock that is 4 1/4 by 5 1/2. Then sealed on each end and on the side with sticky strip and crimped with the Crimper Tool. I added some of the Mixed Bunch flowers to the from of these as well and tied them with the Soft Suede Bakers Twine. Here is a close-up of one of them. These would make adorable gifts for baby showers, birthdays, just about anything! You can make them with any size of paper or DSP as well.